Rent Classique Banquet Hall | Corporate Events | Wedding Locations, Event Spaces and Party Venues. Classique Banquet hall is a rich, elegant facility that can be used for: Weddings, Family Reunions, Class Reunions, Retirement Parties, Corporate functions, Church Services, training classes, and Concerts, whatever your need is, we can adjust. ​Classique began in 1998 with Ruby and Kenneth's desire to provide distinctive interior design and custom draperies. Humbly starting Classique from their home, Ruby and Kenneth were succsessful in servicing many clients. 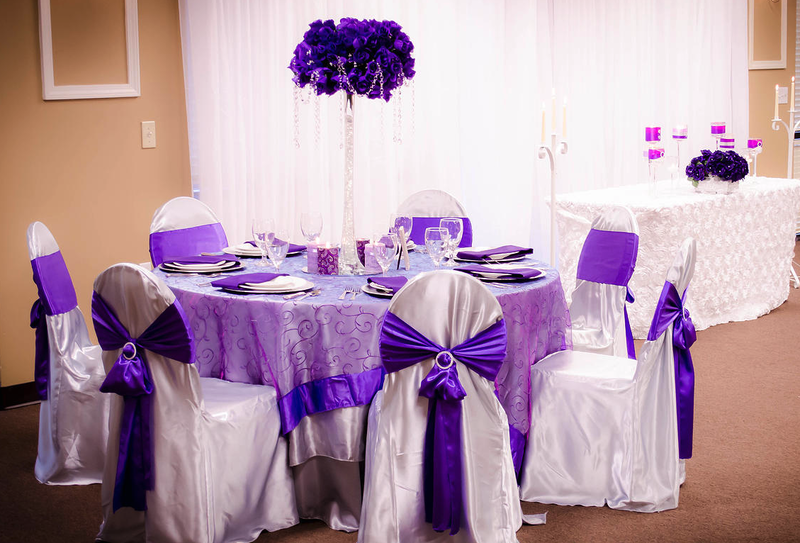 After a few years of growth, Ruby and Kenneth partnered with their close friend Sheena and decided to open Classique Banquet Hall to offer the public their elegant and intimate designs for life's celebrations at reasonable prices. To assist in making your planning simple and efficient, Classique has a list of preferred vendors for catering, photography, videography, DJ Production, and floral arrangements. You can provide your own if you wish. Call Classique Banquet Hall today to plan your next event. Allow the professional staff to help you with the planning, organizing and facilitating of life's celebrations with "A Classique Touch".